Final voting is now open until January 17, 2016. Vote here Finalist Nomination Ballot to cast your vote for Contemporary Controls. Winners will be announced at the CTA awards event. (Everyone that registered for the nominations will automatically receive an email ballot. 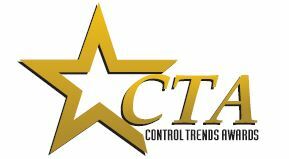 Those that didn't participate in the nomination process can visit the controltrends.org website and register to vote via the CTA Award voting icon on the top right hand side of the web page). The CTA awards event will be held on Sunday night, January 24, 2016, from 6:30PM to 9:30PM, at Orlando's Hard Rock Live, located at Universal Studios. "The Hard Rock Live, located approximately five miles from the Orlando Convention center, is home to music history and a most befitting venue to celebrate the heroes and superstars of our HVAC and Building Automation industries," states Ken Smyers. Contemporary Controls is a Platinum sponsor. Created in June 2012 by Eric Stromquist and Ken Smyers, the CTA Awards are a way to recognize innovations and achievements in the HVAC, Controls, and Building Automation Industry. Contemporary Controls wants to thank Eric and Ken for their tireless efforts for making the CTA Awards a leading awards program within our industry. If you're attending the upcoming CTA awards, be sure to say hello to us. We look forward to seeing you there.